What’s up for dressingpaula this season? 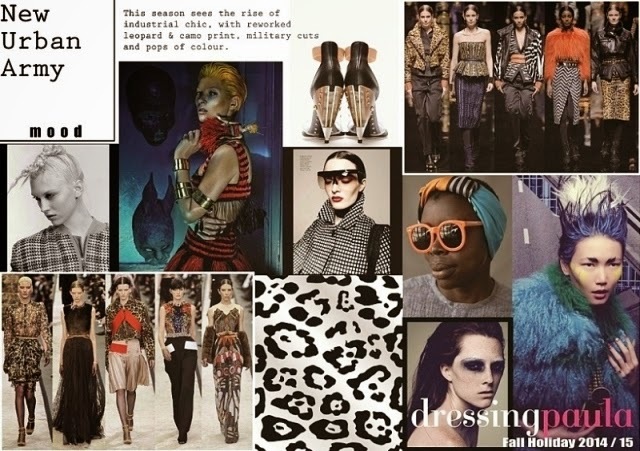 Inspired and designed around the theme ‘Urban Army’ dressingpaula’s Fall Holiday Collection 2014/15 features a chic and bold collection. We see the rise of industrial chic mixing tropical bright with a touch of military tones to create a strong, polished and urban army kind of look. That’s cool. With reworked leopard prints, military cuts and pop of colours, the fall holiday collection focuses on creating a structured and boxy, yet elegant silhouette for the everyday woman. Silhouette: Structured, Boxy, Refined, Elegant. Color: Black & White, Brunt Orange, Royal Blue, Grey, Fuschia, Dusty Salmon, Rose Gold. Material: Mesh, Cotton Stretch, Satin, Crepe, Brocade, Chiffon. As the brand promise of ‘woman before clothes’ dressingpaula offers freedom and energy with its light and comfortable materials. Although the collection plays around on creating an all-round edgy look, the collection also features a mixture of tropical bright colours with a hint of military tones that exude a strong, polished and urban army look. 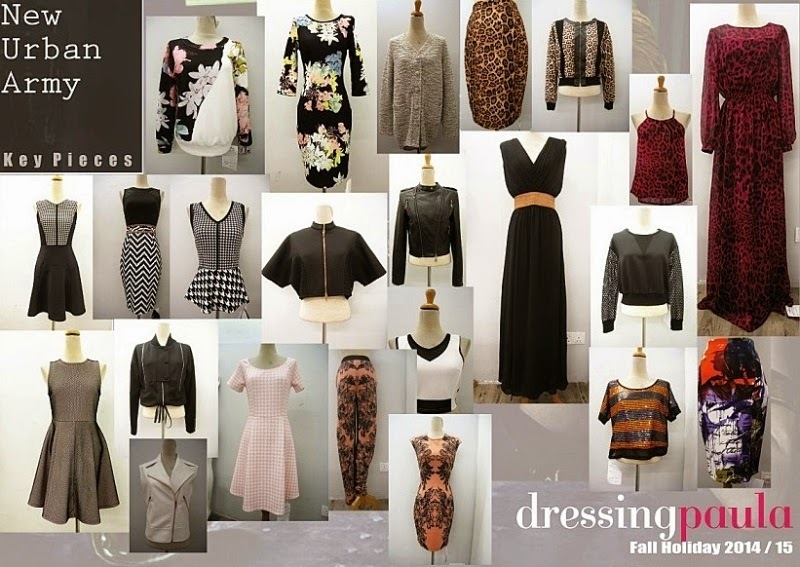 The collection features various trendy print designs such as leopard prints, abstract art and zig-zag patterns.